Leaders in procurement met at the 2015 CIPS Annual Conference to conduct a panel regarding successful procurement transformation, Supply Management reported. Panel members had a wide range of advice for those in attendance, including the necessity of clear communication regarding the project's overall vision and the importance of equipping everyone involved in the transformation with the right tools. 1. Step back: When looking at procurement transformation it is best to view the commitment as a marriage opposed to a dinner date. The road to success will be long and detailed, so take a deep breath before you dive in. It is important to use our first tip before the process even begins: Take a step back and make a game plan. 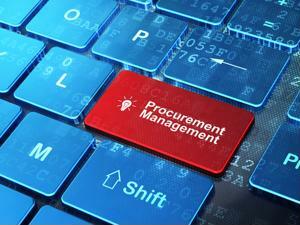 Evaluate your entire procurement process in the past: Where can you improve? How can you do it? What are your realistic goals? Spend Matters contributor Nancy Clinton sees this as taking a holistic view and suggested and evaluation of your overall metrics can help serve as a road map for your intended journey. 2. Communicate, communicate, communicate! : The panel members touched on this key point at the CIPS Conference because this is the most important tip of all. Communication needs to exist on a bunch of different levels. One panel member saw procurement transformation as a political campaign. In order to be successful, company members from top to bottom need to be convinced that these drastic changes are a great idea. As a leader, you must communicate the long-term benefits of these shifts. The true indicator of success in procurement transformations is not the implementation but rather the level to which these changes become regulated readily and the results they create. 3. Keep your pace: At risk of repeating ourselves, it is important to stress that procurement transformations are a long process with many steps and subsequently many victories and failures. It is important to maintain a steady pace in your road to transformation and to celebrate the wins without losing site of your overarching goals. Clinton suggested maintaining a balanced level of transparency throughout the process as a means of change management. Let those involved know how much has been accomplished, how much needs to be done and what the strategies are to ensure an even level of understanding across the board.